What Will You Fail at This Year? "If you want to be successful, you need the courage to risk failing. Doing nothing means you'll avoid failure, but it will also mean you'll avoid success." Entrepreneur Sara Blakely was the first female billionaire to sign Bill and Melinda Gates' and Warren Buffett's Giving Pledge. How did she get to this place in her life and career? By failing her way to success. She failed the LSAT and failed to become a lawyer. She failed to get back-up career options off the ground. She failed in initial attempts to get her company up and running. 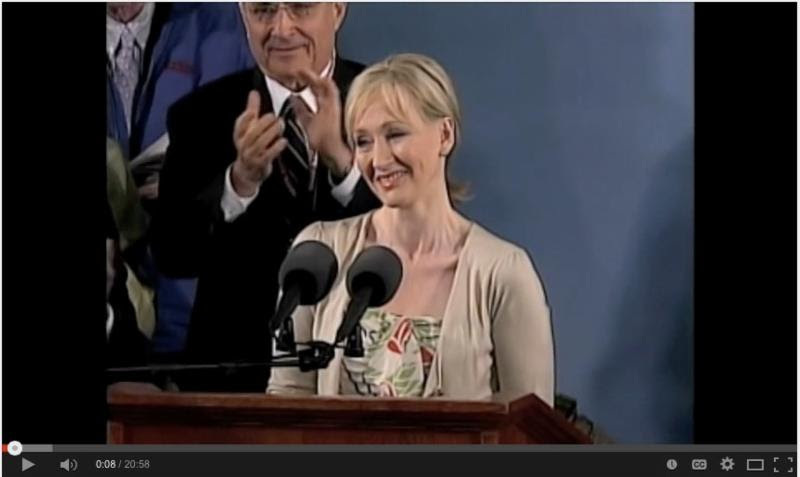 But because "go out and fail" was the best career advice she'd ever gotten, she was undeterred. 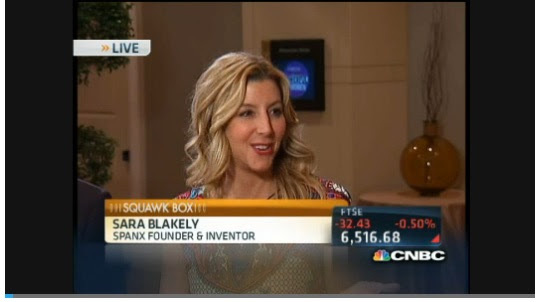 In 1998, Blakely was selling fax machines door-to-door when she came up with the idea for Spanx, women's slimming and smoothing shape wear. Once Blakely had completed her first prototype, in search of a production partner she drove to North Carolina, where most of America's hosiery mills are located. She was turned down by every single one. A few weeks later, she got a call back from a mill operator whose daughters had pushed him to reconsider. Fourteen years later, at age 41, she was the named the world's youngest self-made billionaire (until Mark Zuckerburg would dethrone her). Relative to other countries, Americans have a healthier relationship with failure, as evidenced by our entrepreneurial activity. Data from the Global Entrepreneurship Monitor shows that compared to other countries, a fear of failure is less likely to prevent Americans from starting a business. But judging by our own failures, most of us know we still have a pretty strong fear of failure, especially on a personal level. More companies, particularly those driven by technology, are having a conversation about the importance of failure in the quest to innovate. Certainly we've all read something somewhere about failing early, often and faster. But business educator Eddie Obeng can see that this message hasn't yet taken hold on the personal level. As he says in his energetic TED Talk, "Smart failure for a fast-changing world," CEOs and clients want innovation, so they encourage people to take risks and be creative. But, Obeng quips, as the words travel through the air, they get transformed, and workers hear, "do crazy things that don't work, and I'll fire you." Obeng argues that we can no longer afford for this message to get lost in translation because about fifteen years ago, he believes - as most of us know on a gut level - all the rules of commerce and innovation changed. Thanks to globalization, technology and the pace of change, how we live, work and engage in commerce has been fundamentally transformed. The old rules no longer work, but most of us are still using the old playbook. The new playbook is about solving tomorrow's problems and creating tomorrow's businesses. It requires moving fast and, obviously, conceiving ideas and solutions that will fit tomorrow's world requires a good amount of trial and error - and failure. How can we destigmatize failure and work to liberate it from its tight and self-defeating association with shame? We can begin to normalize failure by making the point to reflect on our own every day failures. We make mistakes all the time or we fail to act on small goals we had set for ourselves. Something happens when we realize how often we fail, particularly when we realize how often we fail out of sheer lack of trying. For example, did you even try to wake up early today to exercise? Did you attempt to choose a healthy lunch? Have you been sticking to your New Year's resolutions? In this light, failure becomes something worth making worthwhile. If we're going to fail - and we all are, in big ways and small - we might as well try to have our failures be the result of going after something, not merely the consequence of a lack of effort. Our failures are a function of both how big our goals are and how far we are stretching ourselves. If we're fortunate enough to have big failures, not only are we getting immediate feedback that we've stretched ourselves, we also now have the opportunity to milk that failure for all the new insights, awareness and wisdom it has to offer. In squeezing our failures for all the richness and opportunity they hold, failures become their own brand of successes. Success was originally defined as an outcome, not a good or bad one, just an outcome in its neutral state. It was then up to us to make it a positive or negative outcome. Failure deserves the same neutralization and affords the same opportunity. It is completely within our reach to make every failure entirely worthwhile, beneficial, empowering and capable of helping us jettison what no longer serves us and allow us to rebuild on a far more solid foundation. In this month's TLV, we look at the many upsides of failure and how to make it work to earn you greater successes. Let's reexamine, redefine, embrace and maybe even crave a failure or two in 2015. What will you fail at this year? And then what will you learn from it that will make you succeed? "The best things in my life have been the bad things that taught me stuff." What a difference just a few weeks makes. As recently as early fall, everything was pretty hunky dory. The national economy appeared to be gaining momentum with the great help of the oil and gas industry. 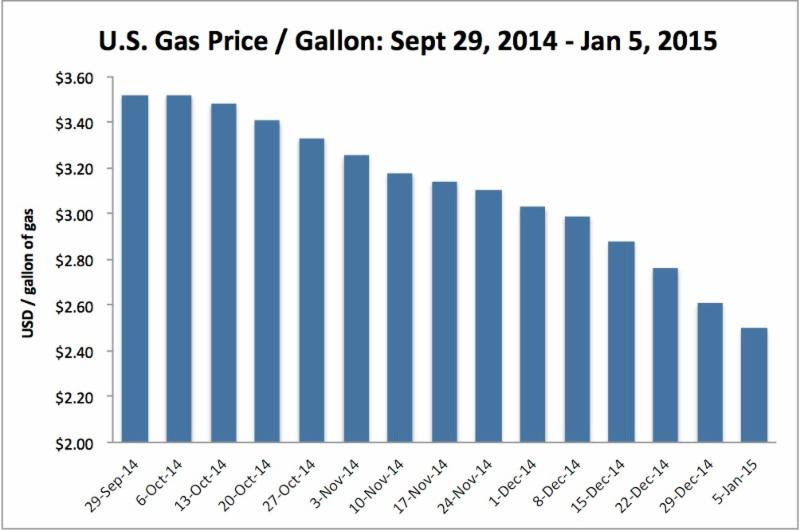 Flash forward to January 1, 2015 and it looks like the wheels have fallen off the oil and gas boom. The price of oil is down 50% in almost the blink of an eye. 50%! We might have to call that material. Every material change in such an important part of economy will obviously have some pretty dramatic consequences. No question there will be challenges to all oil-centric geographies. The good news though is that lower gasoline prices will act like a tax cut and spur consumers to spend more, driving growth in other parts of the domestic economy. At least that's the conventional wisdom. How about we play with some numbers? A $1.50 a gallon decrease in the cost of gasoline for the average driver that drives 13,476 miles a year (Federal Highway Administration) in a 20-mpg car (22 for cars and 17 if you include trucks, FHA) turns into about a $1,000 annual savings. Multiply the annual savings by 220 million drivers (FHA) and the US economy is about to get a $220B stimulus from cheaper oil. Economic science tells us that not 100% of added discretionary income turns into consumption, so just for fun let's say it's 90%. That provides the US with a stimulus of $198B. What about heating oil, another major use of oil? The latest data we can find from the US Energy Information Administration comes from 2010, when consumers spent $14B on heating oil. That amount really isn't too material given that in the same year $376B was spent on gasoline. 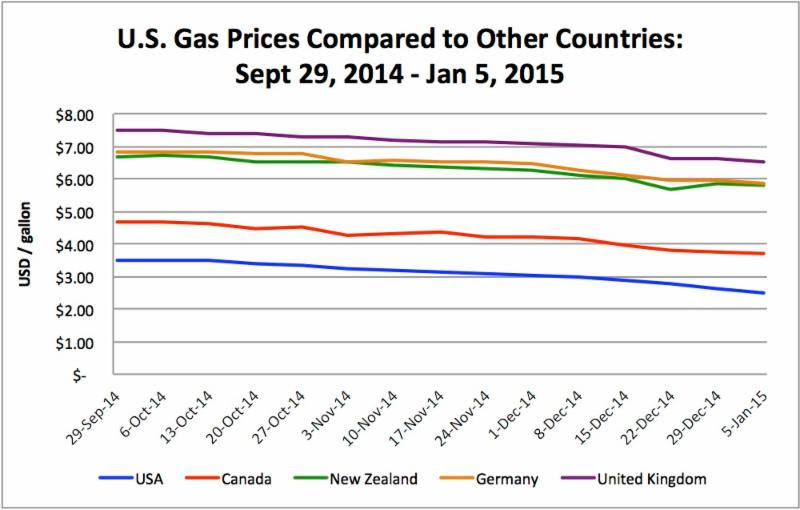 If this relationship remains similar, then we should add another 4% to consumer's $198B savings in gasoline. That takes the "tax cut" up to about $206B. But how much of a decrease are we going to see in capital spending in the energy industry? In early 2014, the Oil & Gas Journal predicted domestic oil and gas spending last year would hit $338B. A recent research piece by seemingly in-the-know energy securities firm Tudor, Pickering, Holt & Co. suggests energy capital spending in 2015 may be down over 40%. Yes, you read that right, a 40% reduction in energy capital expenditures. Assuming Oil & Gas Journal's 2014 prediction proved to be in the ballpark of expenditures in 2014, a 40% reduction in 2015 would remove $135B from our national economy. It's hard to find any worthwhile data on the economic multiplier effect of capital expenditures versus consumption, but India's National Institute of Public Finance and Policy suggests the economic multiplier effect of capital expenditures is 2.45. That would mean capital expenditures waterfall down to increase economic activity by 2.45 times their amount. If true, that means our real economic shortfall from a $135B decrease in energy capital spending is equal to taking $330B out of the economy, to be covered by $206B in "stimulus." Ugh, now our economy is in the hole $124B! Of course there must be a multiplier effect on the $206B increase in consumption. To date, we at Leyendecker haven't found one. But when the average driver has an extra $80 in his pocket each month, one would think a lot of that money will be spent on a slightly higher quality of beer and cigarettes - hardly the economic multiplier of capital investment. And, guess where a lot of consumer products are made...not in the USA. Hmmm...would the fact that China's economy is slowing down as it shifts from infrastructure investment to consumer spending tell us what we might expect here? Any of you smart readers out there want to take another look at this analysis? We'd be happy to report it in our next TLV. A year from now, we'll see how this all shakes out, but we must keep a watchful eye in 2015 because any material change like this is bound to have rather material consequences for both the domestic and global economy. Only time will tell how long oil stays down and how much contraction there will be in domestic oil and gas spending, but surely we will soon see consolidation and layoffs in the oil patch and related industries. The merger of Halliburton and Baker Hughes itself will obviously lay off the majority of corporate staff for one of the Fortune 150 companies, not to mention their overlapping operational divisions. Just a couple of days ago, US Steel announced they would lay off several hundred people and idle steel plants in response to the significant cut backs in energy infrastructure investment. The layoffs that will come from significantly lower oil prices will not appear in any official data for likely another quarter or two. But over 2015, we should see pretty serious job losses across the energy infrastructure space, most particularly in oilfield services, the vendors who will take it on the chin if their customers cut back $135B in capital spending. Energy finance jobs will also be challenged. Little capital is going to grab for the knife while it is falling. At best we should see bank lending jobs hold steady, a likely decrease in investment banking as securities activity falls measurably and probably a steady hold in private equity, since those funds are mostly raised and full of dry powder. If any sector sees robust job growth in 2015, it should be in turnaround activity. So much is up in the air. Should oil prices turnaround quickly, a lot of the investment and job carnage will be missed. But the lower and longer oil prices stay, the more job loss momentum there will be in energy infrastructure and support industries. With a significant amount of stimulus landing in consumer pockets, the obvious result would be an increase in consumer product, retail and consumer services job. These have been some of the most robustly growing jobs since '08/'09, when fiscal and monetary shock and awe came to our rescue. Unfortunately, these jobs do not pay the best of wages; another reason to question the conventional wisdom that the oil price decline will further support the economy. An alternative to trading economic leadership from industrial capital expenditures to the consumer is a trade-off of high paying jobs for lower paying jobs. No one is taking the world "cycle" out of the dictionary any time soon. There wouldn't be an old saying like "buy low and sell high" if there wasn't a cycle that created both those lows and highs. We folk in the oil and gas patch are about to live the cycle real time. We've been here before. Commodities have always been and will always be cyclical. The obvious lesson to learn is not to grow overly confident when things are going really well. If things almost seem too good to be true, they likely are. The world will always bring challenges, always bring new mountains to climb. If it didn't, we wouldn't be capable of progress. The unemployment rate declined by 0.2% to 5.6% in December, and the number of unemployed persons declined by 383,000 to 8.7 million. Over the year, the unemployment rate and the number of unemployed persons were down by 1.1% and 1.7 million, respectively. Among the major worker groups, the unemployment rate for adult women (5.0%) decreased by 0.2% in December, while the rates for adult men (5.3 %), teenagers (16.8%), whites (4.8%), blacks (10.4%) and Hispanics (6.5%) showed little change. The jobless rate for Asians, at 4.2% (not seasonally adjusted), changed little from a year earlier. The civilian labor force participation rate edged down by 0.2% to 62.7% in December. Since April, the participation rate has remained within a narrow range of 62.7% to 62.9%. In December, the employment-population ratio was 59.2% for the third consecutive month. However, the employment-population ratio is up by 0.6% over the year. The number of persons employed part time for economic reasons (sometimes referred to as involuntary part-time workers) was little changed in December at 6.8 million. These individuals, who would have preferred full-time employment, were working part time because their hours had been cut back or because they were unable to find a full-time job. Given the tumult in the oil and gas market over the last month, we thought we'd put the recent oil price collapse in a little context. "Failure is the inevitable companion of a large vision." HBR Quiz: How well do you rebounds from career setbacks? This brief 12-question test from Harvard Business Review will mirror back to you how productively you tend to move through career setbacks and where there's room for improvement. Thomas Edison had a teacher who called him "too stupid to learn anything." Walt Disney was fired from his newspaper job because his editor felt he "lacked imagination and had no good ideas." Stephen King's first novel was rejected 30 times. Sometimes it's nice to be reminded that we're all human, we all face criticism, we all face adversity and we all fail. This list of failures of people known for their extreme success proves that perseverance pays off. Also using examples of famous people who had massive failures, business writer David K. Williams shows how the most successful people "fail up," meaning they fail productively. The truly successful also never give up; for these people, failure has a motivating, not defeating, effect. Read on for nine examples of famously successfully people who used years of failures to deepen their resolve. "So why do I talk about the benefits of failure? Simply because failure meant a stripping away of the inessential. I stopped pretending to myself that I was anything other than what I was, and began to direct all my energy into finishing the only work that mattered to me. Had I really succeeded at anything else, I might never have found the determination to succeed in the one arena I believed I truly belonged. I was set free, because my greatest fear had been realized, and I was still alive, and I still had a daughter whom I adored, and I had an old typewriter and a big idea. And so rock bottom became the solid foundation on which I rebuilt my life." Amazon Prime, Kindle, Amazon Web Services and Amazon's third-party seller business are all examples of bold bets taken by Amazon employees. And each represents scores of failures. 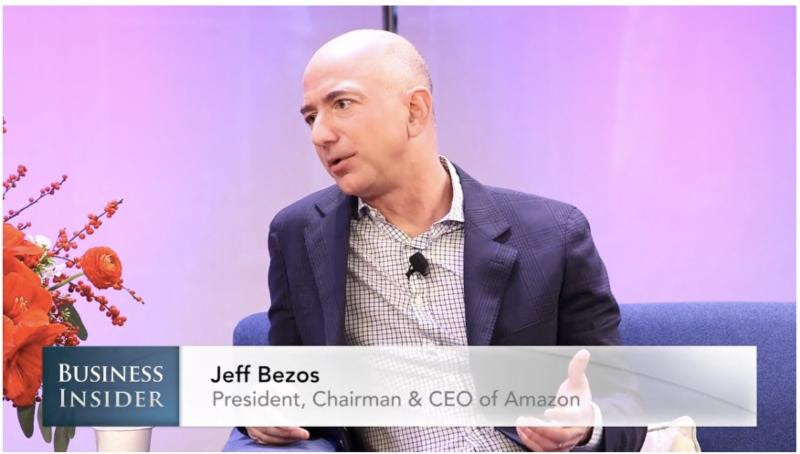 Jeff Bezos believes that leaders must encourage taking several bold bets to find the next one that will pay off. In Bezos' view, companies that don't experiment and embrace failure while they can are the ones that find themselves in the desperate position of having to make a final hail Mary pass in an attempt to save the company. In auto racing, drivers learn how to crash; crashing is possible, so learning how to do it can save lives. Failure in business is also possible. Why then don't all leaders teach their teams how to fail? Leaders who have failed are excellently positioned to teach teams to expect failure and move through it productively. Read on for four ways that leaders can use their own failures to create team unity, improve morale, create a culture of safe experimentation and support their teams through productive failure. If companies want to reap the rewards of a culture of innovation, then they must get their employees to believe that experimental failure truly is welcome and won't be punished. 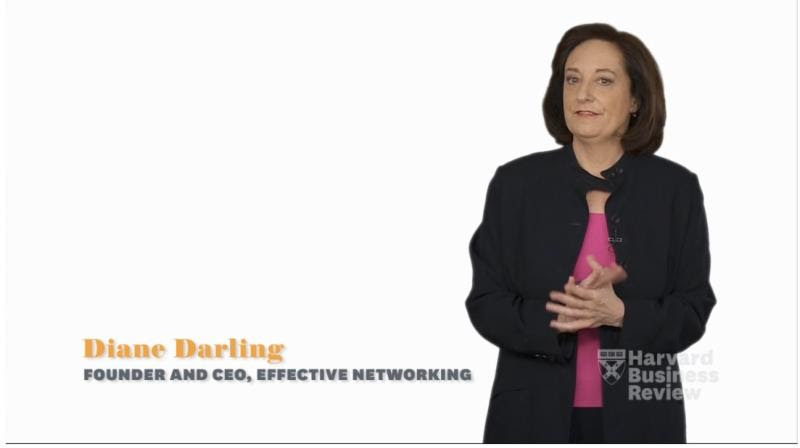 This article outlines five ways leaders can change employee mindset about failure. Freakonomics podcast: Failure is your friend and the case for a project "pre-mortem"
In this Freakonomics podcast, Stephen Dubner and Stephen Levitt speak to Allan McDonald, the sole engineer who refused to support the deployment of the space shuttle Challenger. Tragically, his fears that unseasonably cold weather would cause an explosion were realized. The shuttle's decision team was suffering from what Dubner and Levitt call "go fever" - where a feverish determination to succeed leads to failure avoidance at any cost. In search of a rectification for such blindness, Dubner and Levitt talk to psychologist Gary Klein. Klein suggests use of a "pre-mortem" before any new initiative begins, where all stakeholders are required to create a list of everything they think could go wrong. In his research, Klein has found that this practice makes people feel safer sounding the alarm when they see problems arise. 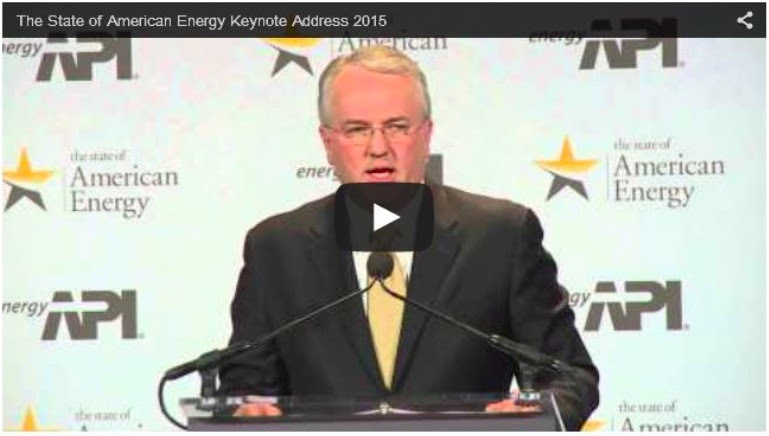 On Tuesday, January 6, American Petroleum Institute president Jack Gerard delivered his State of American Energy address in Washington, timed to coincide with the opening of the new congress. In his speech, Gerard advocates for overhauling outdated policies that were built at a time when the U.S. was overly dependent on foreign oil. Thanks to new and abundant sources of energy, he calls for an all-of-the-above policy that acknowledges America's global energy leadership and expanding energy sources. The U.S. economy is at the precipice of a great new leadership era, if only our economic policy would allow it to happen. If you're in the oil and gas industry, the New Year is off to an interesting start. Hopefully the following link can bring at least a few moments of entertaining distraction. And it'll make you feel pretty smart. People in London try to label the 50 states on a map. The results are hilarious. 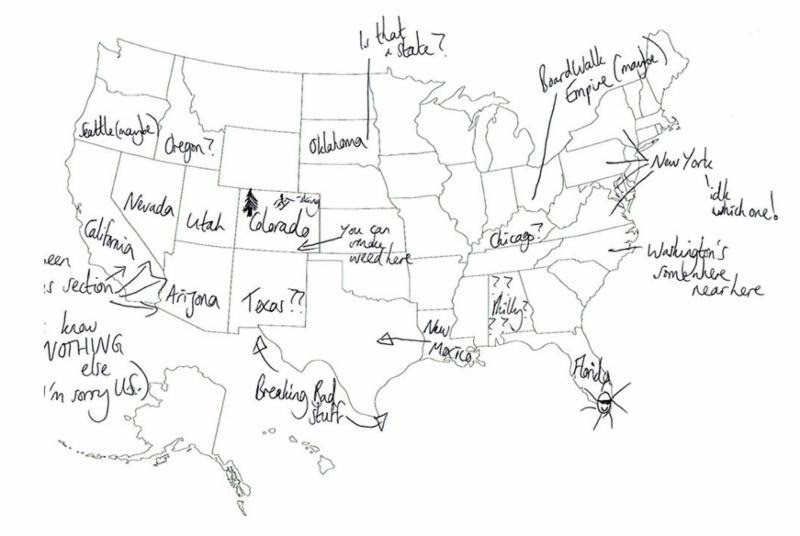 Buzzfeed asked people in its London office to show their knowledge of the American map. Or lack thereof. You'd think that everyone would at least be able to name Texas...But they do know "Breaking Bad." 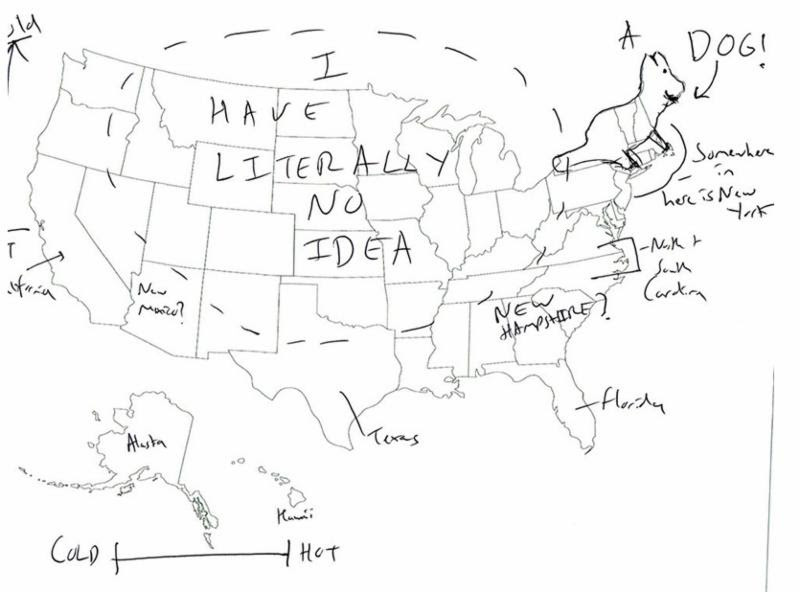 Follow the link for more miserably funny attempts to label the states. 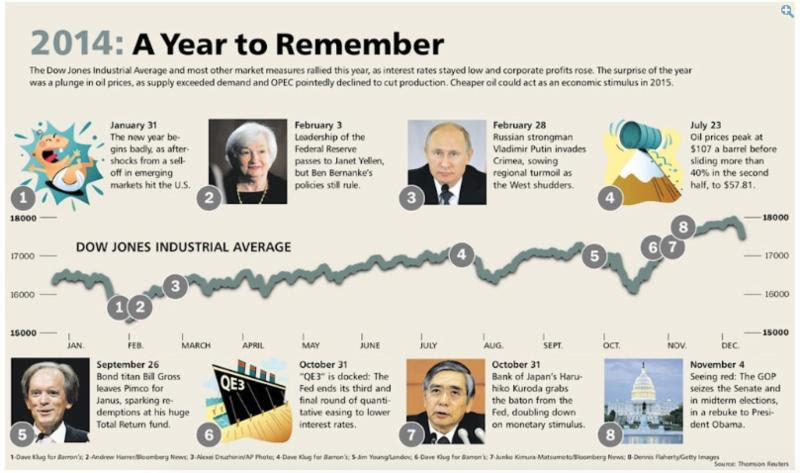 Barron's took a look back at the economic and geopolitical events that shaped 2014. Crude at $107 seems forever ago. Click the link or the image to access a zoomed-in image. If unemployment is shrinking, why aren't wages rising? 1) Wage growth and job growth are happening in different places. Wages have gone up, it's just that they've done so in the sectors where we've added fewer jobs. Wages have skyrocketed in mining and energy, but they've stagnated in retail and food services, which is one of the largest employment sectors. 2) The rise of invisible employment is too large. "Invisible employment" refers to discouraged or part-time workers who want more hours. 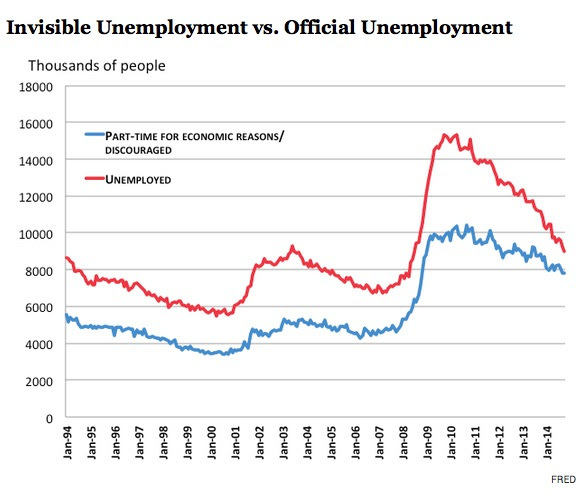 While they might be underemployed, they are not considered unemployed in BLS data. The spread between the underemployed and the officially unemployed was at its smallest in 2014, rendering the unemployment rate less useful in appraising what's actually happening in American employment. 3) The rise of invisible work is too large. "Invisible work" refers to the work of American companies not done by American workers. The recession provided opportunity for American companies to hire abroad and control labor costs at home, which could be hampering domestic wage growth. When Jeff Bezos built the team to launch AmazonFresh, he hired former executives from spectacular dot.com failure, Webvan. Through their experiences sinking the early-2000s grocery delivery service, the Webvan people were humbled and knew what not to do. Hiring "failures" was a deviation from Bezos' early hiring strategy to hire only people who'd been "successful in everything they had done." Over time, Bezos realized that the conventionally successful tend to play it safe and, thus, miss learning opportunities. Google has also come to similar conclusions and has moved away from hiring based on prestige. Who do you want on your team, someone with a perfect resume, or someone who's picked up some wisdom and resilience along the way? Remembering names of new acquaintances is perplexingly hard for many. Yet it's a skill we need when our work puts us in front of so many new faces all the time. Start by slowing down. Watch for 5 tricks to apply from there. Click the link or the image to see the GIF in motion. By 2060, the U.S. is expected to add 100 million people, taking the population to around 417 million. Median age is expected to be 43, compared to 37 today. 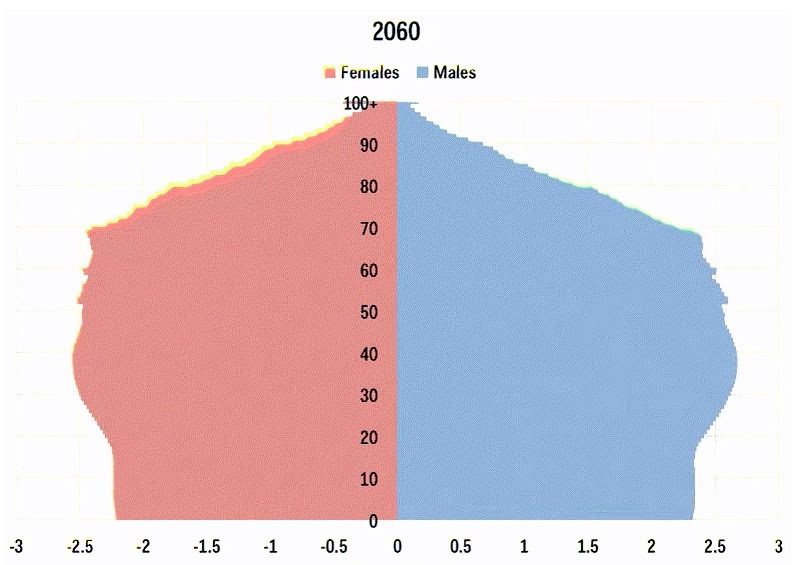 By comparison, Japan's median age is expected to be 56 by 2050. Last year, Americans left 169 million paid vacation days on the table. We don't typically get that many of them to begin with, yet we often don't use them anyhow - according to a study from travel website Skift, a whopping 41% of Americans took zero vacation days in 2014. Income is correlated to vacation day use; higher earners tend to take more vacation. A US Travel Association study found that a fear of more work upon return from days off precludes many Americans from taking a vacation at all.